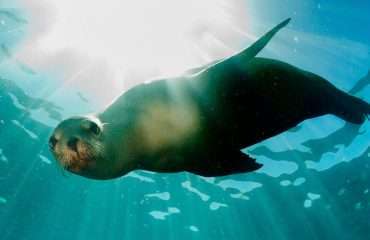 Galapagos Hike & Kayak is produced by our partners Natural Habitat (in association with the WWF). It’s probably the lowest impact way to experience this unique world heritage site and its amazing wildlife, up-close. All about the Galapagos Hike & Kayak, 10 Days, Galapagos Islands. 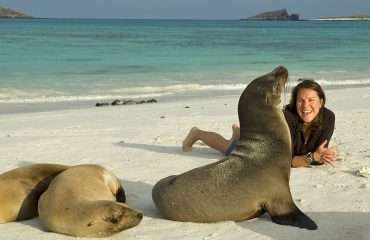 Galapagos Islands are a must-see for nature lovers. This is the lowest impact option we have found to this delicate area. In association with Natural Habitats and WWF. You’ll experience nature at eye-level above and below the water. We’re impressed by the itinerary. You don’t need to have any previous experience paddling a kayak, but of course, it helps. However, you only need to be willing to learn. You also should be relatively fit as the tour involves some great kayak paddles as well as nature walks. A great option for couples and nature lovers of all ages. I cannot say enough about the quality of this adventure and the guides. Veronica and Cecibel were absolutely the best. They were always searching for wildlife and were especially attentive to my grandson who is 14. We learned so much about the islands. Our trip became known as the under-promise, over-deliver adventure. The Nemo III was wonderful. We thoroughly enjoyed being immersed in the areas we were discovering. All the transfers were smooth, and the meals were exceptional in quality and taste. Loved that the food was sourced locally. 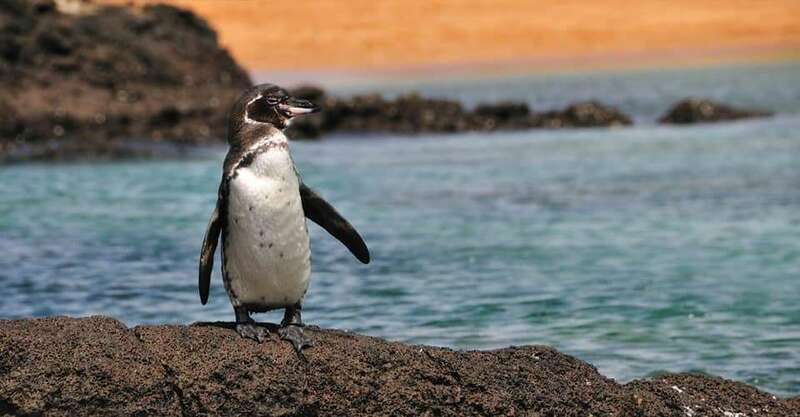 The Galapagos Islands are a great place to explore any time of year, however, the weather does vary and we’ve selected dates when we expect conditions to be good. Trip price includes: Accommodations including the Nemo III, Nat Hab’s deluxe private Tortoise Camp and hotel/hacienda on the mainland, services of Nat Hab’s professional Expedition Leaders, all meals from dinner on Day 1 through breakfast on final day, local beer and house wine with dinner aboard the Nemo III, snorkeling gear and wetsuit, most gratuities, airport transfers on Day 1 and final day, all activities and entrance fees, all taxes and service fees. 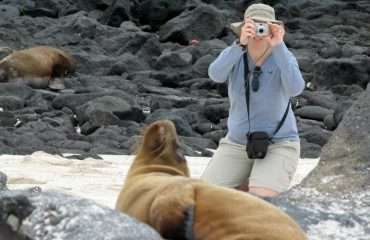 Permit fee: Galapagos National Park permit and transit fees. After breakfast, embark upon a full day of discovery in Ecuador’s historic capital. Heralded as Latin America’s most beautifully preserved colonial city, Quito’s Old Town is filled with cobblestone lanes, elegant plazas and monuments, and ornate gilded churches and monasteries.Your tour of the historic quarter, a UNESCO World Heritage Site, may include the 16th-century Church and Convent of San Francisco and the baroque splendor of La Compañia Church with its gleaming gold-leaf interior. Along the way, we’ll pause for a leisurely lunch of traditional Ecuadorian food in a classic local restaurant. Visit Independence Plaza, the original center of Quito from which we view the Archbishop’s Palace, Cathedral and Presidential Palace. And take in a sweeping view of the city and surrounding volcanic peaks from the overlook at Itchimbia or Panecillo Hill. As the sun sets over Quito, enjoy a welcome dinner with our local guide. Our first landing awaits on North Seymour, a small geological uplift where we follow a trail that leads us to swallow-tailed gulls, blue-footed boobies and endemic land iguanas. North Seymour is also home to the largest colony of magnificent frigatebirds in the Galapagos. 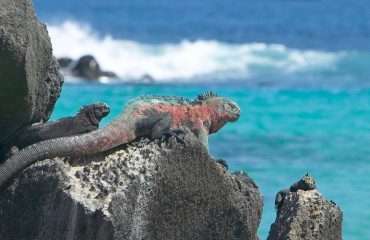 Strolling along the beach, we find marine iguanas and sea lions bodysurfing the northerly swells. Back aboard the Nemo III, our Expedition Leaders offer a briefing about tomorrow’s activities, followed by sunset cocktails and dinner. This morning we land at Isla Lobos, where our adventures begin with a shallow-water snorkel with the resident sea lion colony, plus a chance to look for feeding marine iguanas below the surface. Then, a short ride by panga (motorized inflatable raft) along the shoreline offers a look at a frigatebird colony, prior to a walk inland. Back on board the Nemo III once more, we sail on to Kicker Rock, a dramatic volcanic tuff cone that rises 300 feet above the ocean’s surface. Here, depending on conditions, we have our first chance to snorkel in deep water to look for sea turtles, rays and reef sharks. 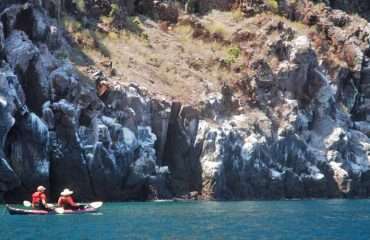 This afternoon the Nemo III lands at Cerro Brujo, or ”Wizard Hill.” This ancient volcanic tuff cone on San Cristobal Island sits next to an expanse of powdery white sand that’s home to a large colony of Galapagos sea lions, as well as blue-footed boobies, pelicans, egrets and marine iguanas. 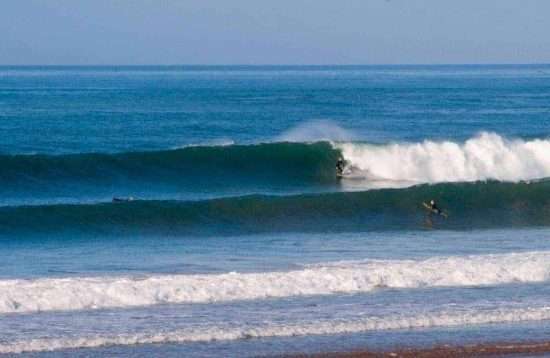 We paddle kayaks along the shoreline of Cerro Brujo, observing tunnels and caves eroded by the relentless action of the waves. Later there’s time for a hike along the beach to look for sea lions. At every turn, our discoveries are enhanced by the in-depth knowledge of our Expedition Leaders, who are expert naturalists on the flora and fauna of the Galapagos. 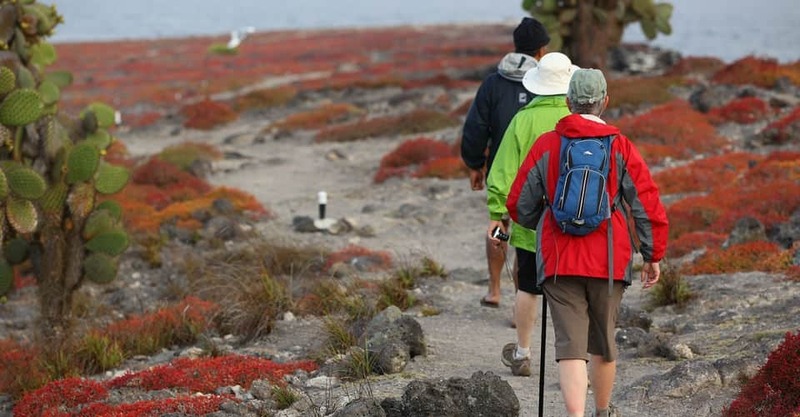 Española is one of the most prolific wildlife sites in the Galapagos. 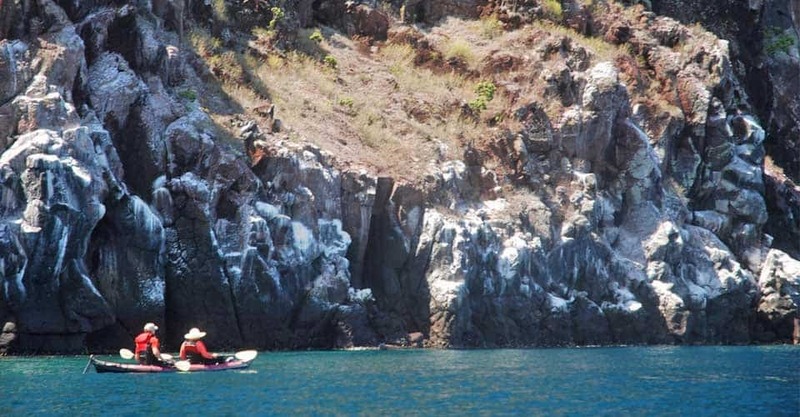 On a paddling excursion along the island’s north shore this morning, we follow a cliff formed by eroded cinder cones and layers of old basalt where we observe giant cacti and many different bird species. Next, we do some deep-water snorkelling at one of the offshore islets in Gardner Bay—keep an eye out for gentle hammerhead sharks that often swim in schools near here. Ashore, an idyllic white sand beach awaits, where sea lions laze by the dozens and Pacific green sea turtles frequent the rocky part of the shoreline. Return to our catamaran for lunch aboard as we sail to Punta Suarez. Hiking on the headlands, we witness abundant birdlife, hoping to see Hood mockingbirds, blue-footed boobies, nesting swallow-tailed gulls and Galapagos hawks. 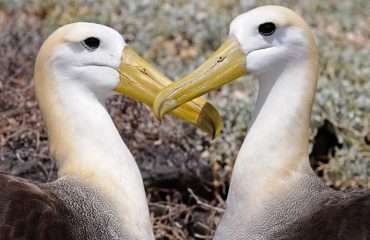 Española is also the world’s main nesting site for the huge waved albatross. This morning we land at Punta Cormorant on Floreana, one of the few populated islands in the Galapagos. Following a trail through a Palo Santo forest to a brackish lagoon, look for pintail ducks, common stilts and bright pink flamingos. As we wind our way past a wide variety of plants, we reach a beach of fine sand where sea turtles lay eggs in the dunes and rays swim in the shallow water. Back aboard the Nemo III, we sail a short distance to Champion Islet just offshore, one of the best drift-snorkel spots in the Galapagos. As the current floats us past the steep walls of this submerged volcanic crater, we spy large schools of fish and bright corals as we’re followed by playful young sea lions. Floreana’s rich cultural history is filled with intrigue, including tales of pirates who once hid out here. One relic of this colourful past is the ”Post Office Barrel,” established by British whalers in 1793, where travellers still leave mail for personal delivery via visitors passing through. 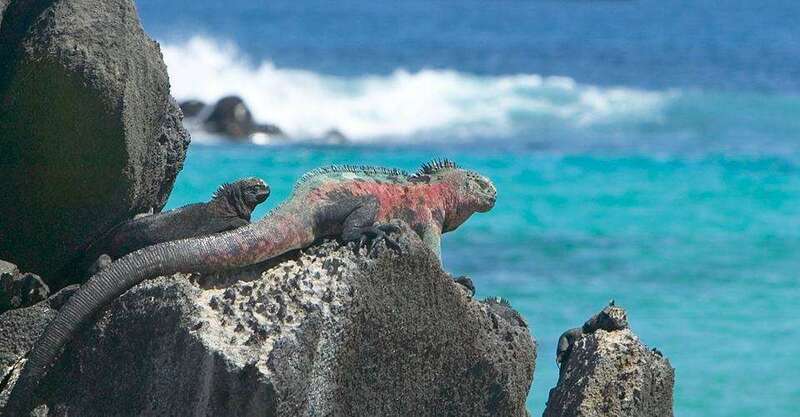 After a short snorkel to look for sea turtles and a brief walk to a lava tube, we paddle around the mangrove shores of Post Office Bay where large bull sea lions patrol the rocky terrain and reddish-coloured marine iguanas bask near the tree cacti. Santa Cruz is our destination this morning, the largest island in the Galapagos. The day begins with a visit to secluded Tortuga Bay, where a trail leads to a long, pristine white sand beach that is a sanctuary for many birds, iguanas and bright orange Sally Lightfoot crabs that dot the lava rocks. Swimming is permitted in a separate cove nearby, where it is common to view schools of white-tipped reef sharks, sea turtles and colourful fish in the aquamarine waters. A paddle among mangrove lagoons on the bay’s edge offers a chance to see sea turtles, frequently found here. After lunch we head into Puerto Ayora, the main town on Santa Cruz, to visit the world-famous giant tortoise-rearing centre at the Charles Darwin Research Station. 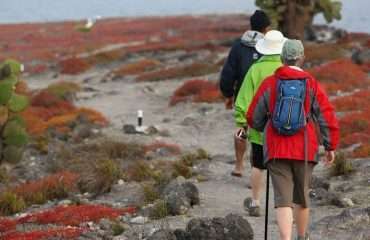 Here, international scientists conduct research dedicated to conserving the unique habitats and species of the Galapagos. At the facility, we visit the protection pens where hatchlings are bred to help increase depleted tortoise populations, a central mission for both the research station and Galapagos National Park. To date, more than 5,000 tortoises bred at the station have been released into the wild. Late this afternoon we head ashore and ascend into the misty highlands of Santa Cruz to arrive at NHA’s private Tortoise Camp. This exclusive setting offers a rare opportunity to spend a night in wild tortoise habitat, and these ancient, amiable reptiles that are the archipelago’s namesake often wander right through camp. 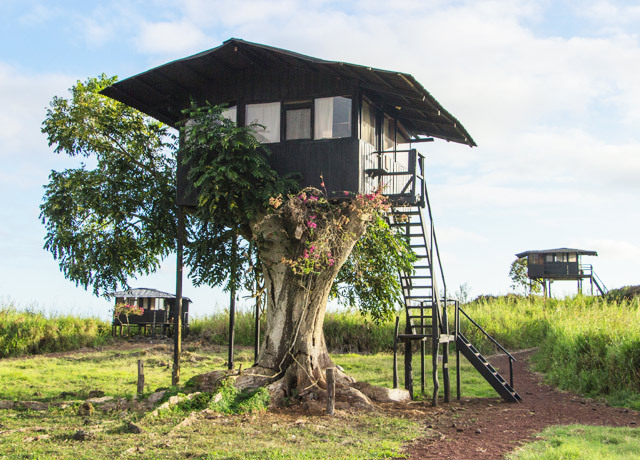 Accommodations are in safari-style raised platform tents and treehouses with views of the ocean. While rustic, they offer comfortable amenities, including real beds and private en-suite facilities. But the real treat of a stay here is our proximity to wild tortoises, who are attracted to the area by the lush vegetation. They are most commonly seen in camp from July through February. From March to June, we make an excursion to a nearby tortoise reserve for closer views, as they migrate seasonally to a lower elevation. Nearby, we can also explore a network of subterranean lava tubes and caverns. Please note: At times, Tortoise Camp may be closed due to poor weather conditions. Spend the morning exploring the highlands with a stop at either El Manzanillo or El Chato tortoise reserve to view more tortoises in the wild, where we find them year-round. Returning to the Nemo III, we have lunch aboard and sail for Santa Fe. On a short hike through a forest of prickly pear cacti, look for the endemic land iguanas that wait patiently underneath for fruit to drop. Returning to our catamaran, we explore a small islet surrounded by great reef diversity, then set out for a paddle along the north coast. 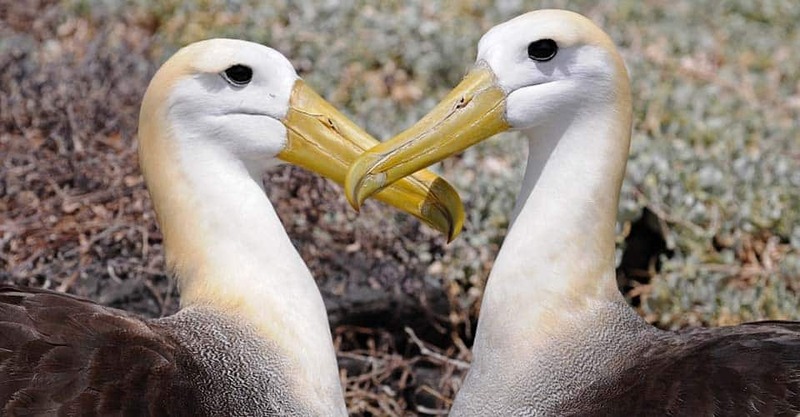 Along this expanse, large cliffs and sea caves are used by many species of marine birds for nesting and roosting—as well as basking green sea turtles and sea lions. 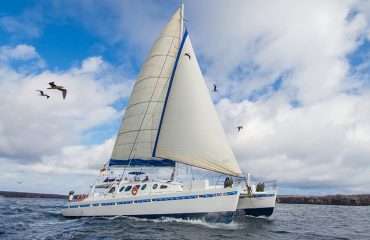 Sailing on to Bartolome, some of the best snorkelling in the Galapagos awaits around the base of this ancient submerged volcano. 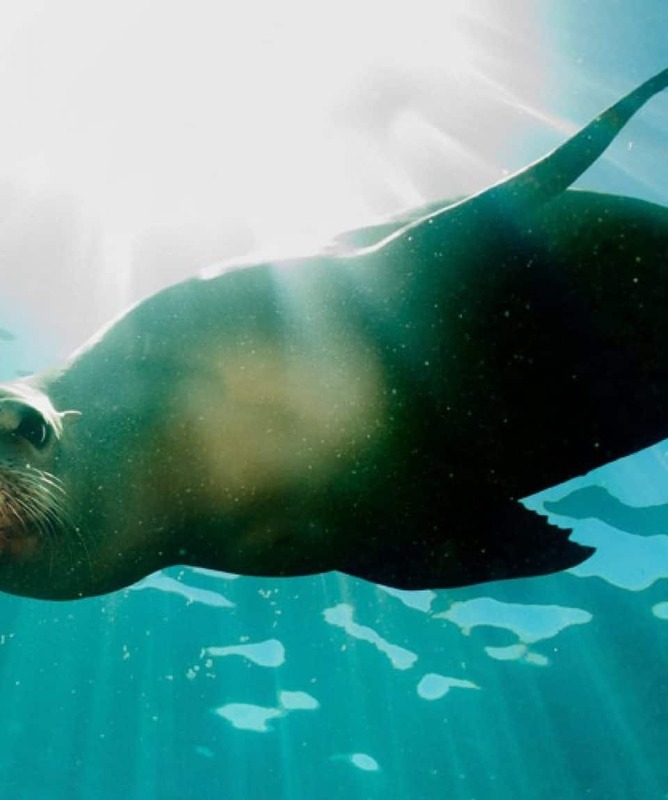 It’s an underwater playground that’s home to enormous schools of fish permanently under attack by Galapagos penguins. Sleeping white-tipped reef sharks, sea turtles and stingrays are also common sightings. We then make a dry landing to climb to the island’s highest point for 360-degree views, passing intriguing geological formations including spatter cones, tuff cones and lava tubes. From the summit, a panorama unfolds of the surrounding islands and Pinnacle Rock, famously shown in the 2003 film Master and Commander. Over lunch, cruise to nearby Sombrero Chino, which really does look like a Chinese hat! A 2-hour paddle through the Bainbridge Rocks, shaped like a string of floating mushroom tops, reveals more of the Galapagos’ fascinating marine life. During a final snorkel in the channel, we hope the resident penguin family will join us. Back on board, it’s time for cocktails and a convivial farewell dinner. This morning’s adventure will depend upon sea conditions. If tides permit, we may opt to land on Mosquera, a tiny islet that’s home to a huge population of sea lions, as well as many shorebirds. Or, we’ll venture out on the panga in search of fur seals lounging on the rocks along North Seymour. Too soon, our time in the Enchanted Isles comes to a close as we say goodbye to the Nemo III, her crew and our Expedition Leaders. Transferring to Baltra, we board our flight back to the mainland. Upon arrival at the Quito airport, travellers departing on overnight flights may choose to transfer to a hotel located just minutes away, for a relaxed layover in a comfortable day room. A complimentary shuttle will return you to the airport in time for your evening flight. Get an eye-level view of the natural wonders, paddle with marine life and live aboard our catamaran on this very special natural adventure. The far-flung Galapagos archipelago is unique on Earth. Giant tortoises roam misty meadows. Sea lions loll, nonchalant, on pristine beaches. 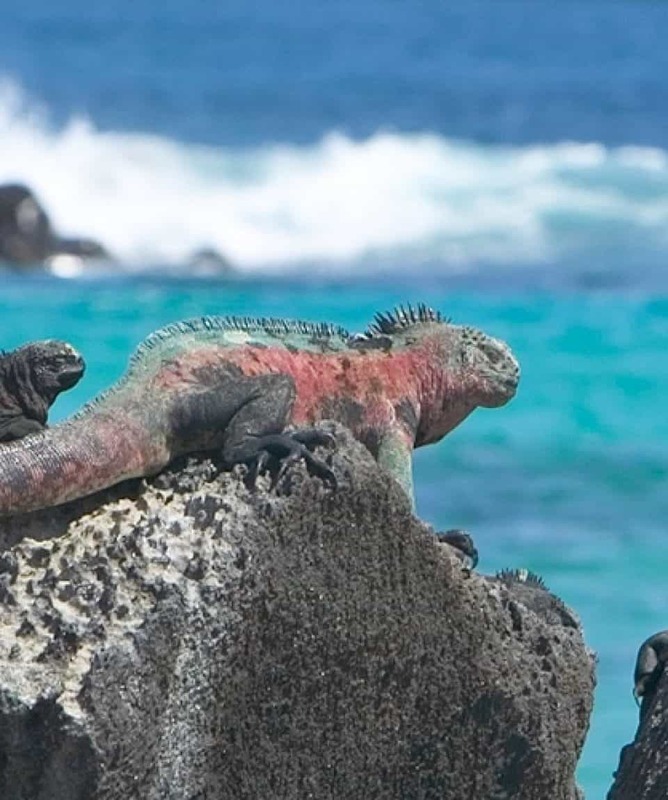 Iguanas bask on sun-baked lava while sea turtles, rays and reef sharks swim with snorkelers in aquamarine waters. Paddling this primeval paradise is a privilege few visitors get to enjoy. We pioneered kayaking in the Galapagos, and our special paddling permits allow us access to places most visitors never see. 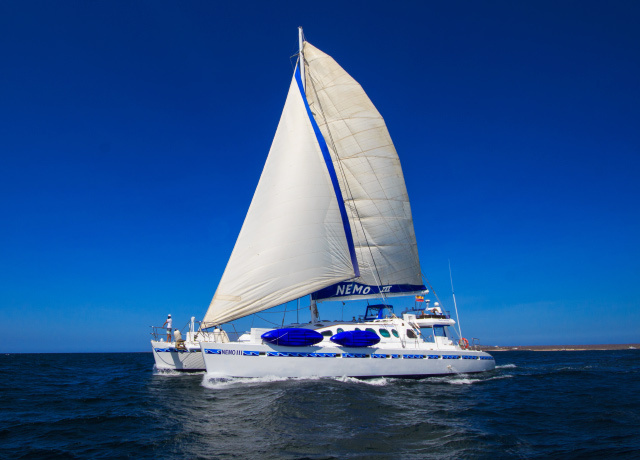 Our privately chartered deluxe catamaran whisks us between anchorages and provides comfortable accommodations. Each day we explore a different island, on foot, by kayak, via snorkelling, and sometimes all three—you won’t sit around on deck on this adventure! The islands are surprisingly diverse, with new discoveries at each spot we visit. Sleep comfortably aboard our chartered sailing catamaran in en-suite cabins as we cruise overnight between the islands…and spend a night at our exclusive Tortoise Camp! 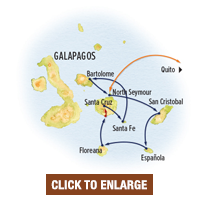 The Most Immersive Galapagos Itinerary Available. Through permits originally secured by Olaf Malver, (our partner) Nat Hab’s Chief Exploratory Officer who pioneered kayak expeditions in the Galapagos decades ago, we have permission from Galapagos National Park for guided kayaking exploration that goes far beyond the standard land- and sea-based excursions most Galapagos visitors participate in. Kayaking lets us discover the water and shoreline at eye-level—and along with our unparalleled Galapagos kayaking experience, you’re ensured the most immersive Galapagos adventure available! 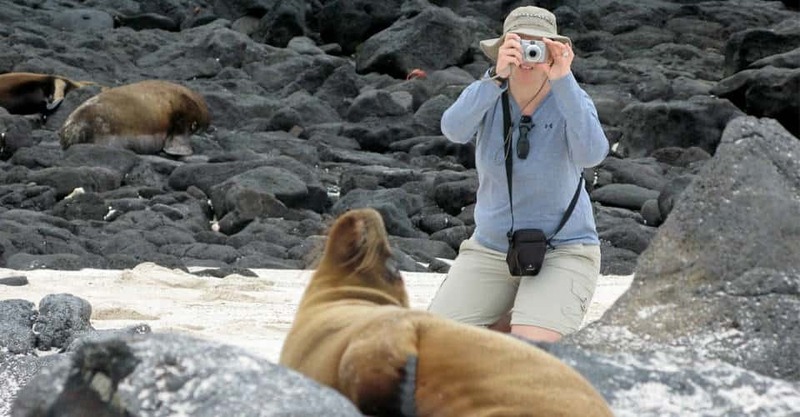 With a maximum of 14 guests led by two Galapagos National Park-certified NHA Expedition Leaders, this trip offers the smallest group size you’ll find in the Galapagos—plus more flexibility. The typical ratio for most boat tours is 16 guests to one naturalist guide. Our ratio on this trip is seven guests per guide. As a result, we can offer different concurrent activities: for instance, one group can paddle along the shoreline near while another group opts for a deepwater snorkelling opportunity. 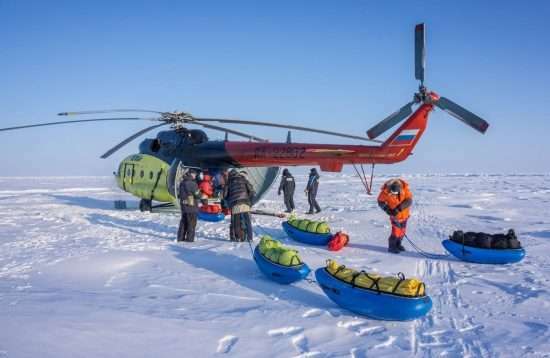 With two Expedition Leaders, you don’t miss out on any interpretation: equally qualified guides accompany each set of guests when we divide into smaller groups. 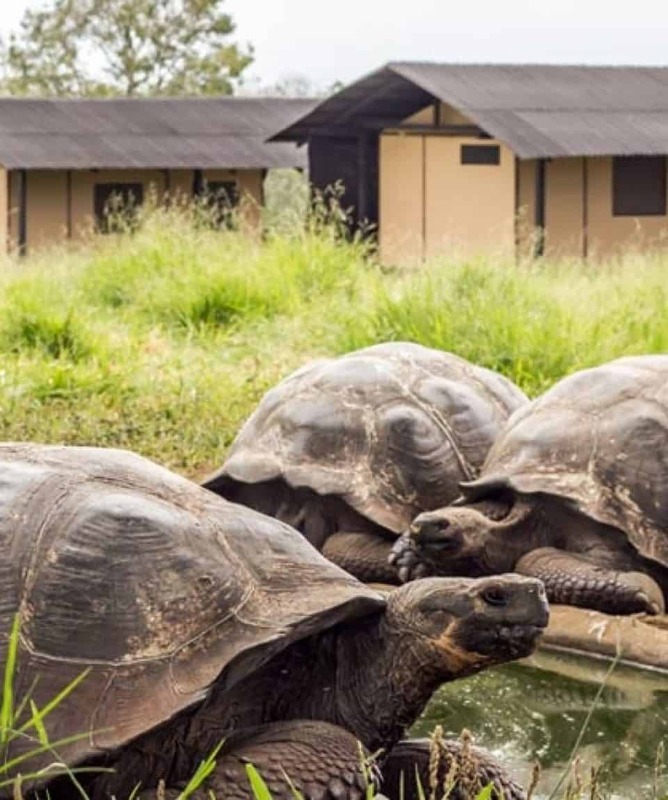 Unique to Nat Hab’s Galapagos adventures is a stay at our exclusive Tortoise Camp located on private land in the volcanic Santa Cruz highlands. 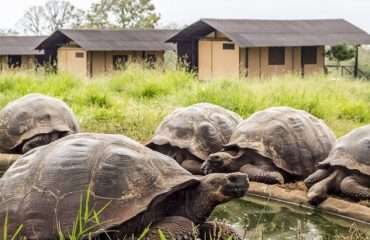 This is the natural habitat of the Galapagos giant tortoise, and these placid reptiles often wander right through camp. Stay in raised walk-in safari-style tents and treehouse cabins overlooking the Pacific Ocean. Though the accommodations are rustic, they offer plenty of comfort, with private en-suite facilities. Meals are served in the covered open-air dining room, and a sheltered lounge with log fireplace offers a cozy spot for relaxing. 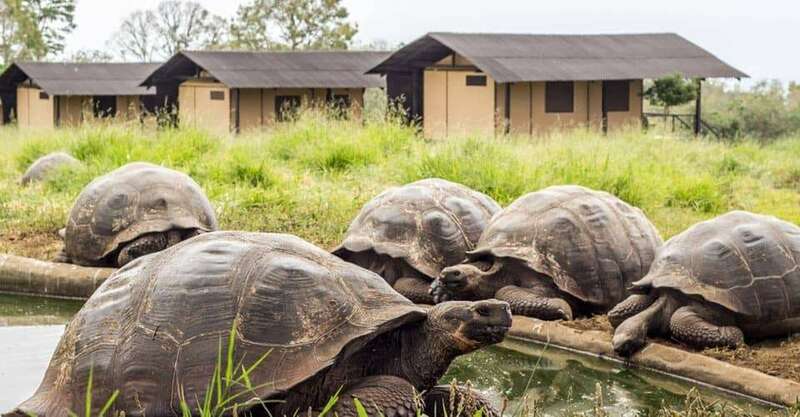 There’s nothing like a stay at our Tortoise Camp to enhance a sense of remoteness during your Galapagos adventure, with rare proximity to wild tortoises. Natural Habitat Adventures is known worldwide for employing the finest naturalist guides on the planet. In the Galapagos, our elite Expedition Leaders each average more than 15 years’ guiding experience and receive additional resources from WWF scientists, an advantage that further enhances our guests’ experience. As WWF’s travel partner, we are privileged to work with some of the world’s most accomplished environmental scientists to develop the best nature travel adventures on the planet. This small-group itinerary, arranged in conjunction with WWF, features walking, hiking and kayaking excursions for close-up wildlife viewing in the most personalized manner. 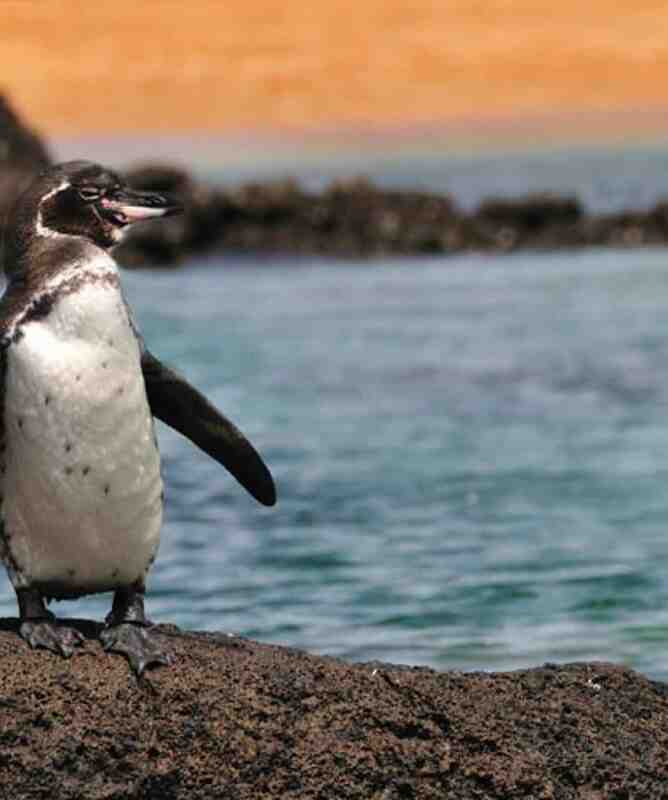 Unlike many Galapagos itineraries, this one includes a mix of active adventures, every day. Via our special kayaking permits, we paddle far more than other tours that offer much more limited kayaking opportunities. We include daily chances to snorkel and walk ashore, offering a multifaceted perspective on the islands’ flora and fauna you won’t get in other contexts. 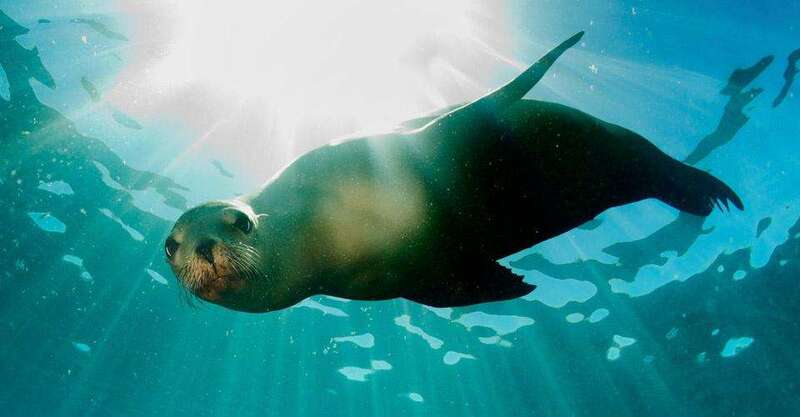 With inquisitive sea lions, sea turtles, rays, dolphins and penguins abundant in the island waters, snorkelling with wildlife in the Galapagos is a huge highlight. However, if you’re travelling aboard a large ship, it can be disappointing to enter the water only to find yourself surrounded by more snorkelers than marine creatures. With our small groups, secluded snorkelling encounters are guaranteed, and you’ll get much more direction and attention from our guides. Ecuador, though small, is one of the world’s most geographically diverse countries, with a rich history. As a complement to your Galapagos adventure, we also include a visit to Quito. Stay near Otavalo at an authentic colonial hacienda and sample a taste of Ecuadorian mountain culture. Or explore Quito’s colonial history, reflected in extravagant churches and European, Moorish and indigenous influences that have made the 16th-century Old Town a World Heritage Site. If you’ve ever tried kayaking in basic (cheap) kayaks with subpar equipment, you’ll agree that it can be uncomfortable—and, frankly, not much fun. 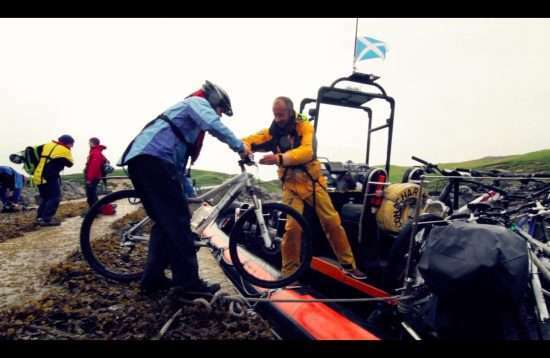 With our decades of experience leading kayak expeditions, we know what equipment is required for the best paddling experience…and we make sure our guests get the very best, for both comfort and safety. With (our partners) Natural Habitat Adventures, you receive our exclusive guarantee: that we will meet the lofty expectations we establish in our promotional materials. To our knowledge, this is the most ambitious guarantee made by any adventure travel company. We all care about the planet, and when you travel with us, you can know that the emissions from your trip are 100% carbon-offset—Natural Habitat Adventures (our partner) is the world’s first carbon-neutral travel company. Because of our commitment to environmentally conscious travel, as well as the outstanding quality of our worldwide adventures, World Wildlife Fund—the world’s leading environmental conservation organization—has named Natural Habitat as its worldwide travel partner, a designation that makes us exceedingly proud! 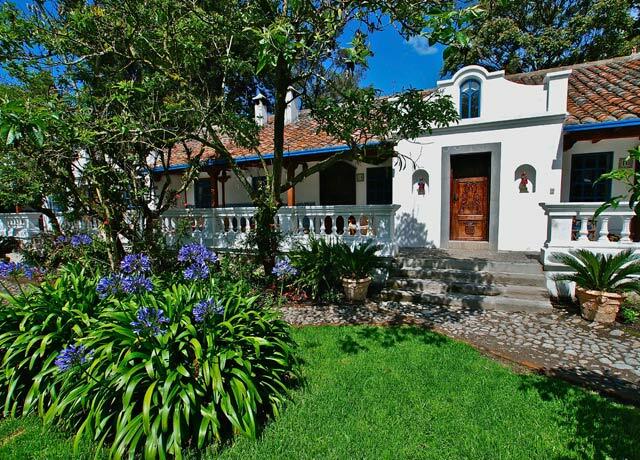 Situated on a lushly landscaped 5-acre estate filled with birdlife, this restored colonial hacienda in the heart of Ecuador’s Sierra graciously welcomes guests amid the country’s most dramatic scenery. 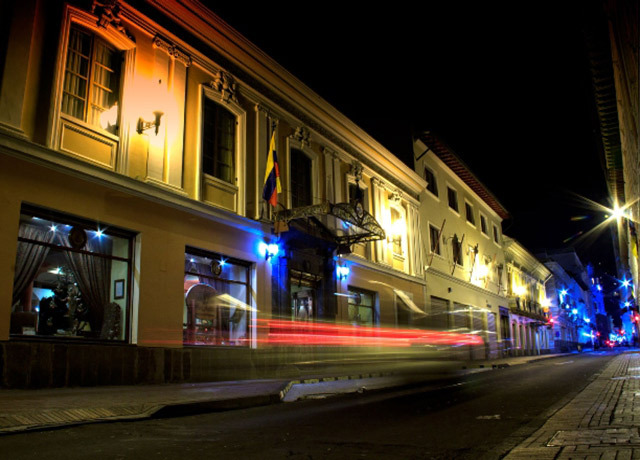 Located in the heart of Quito Antiguo, the city’s beautifully preserved colonial Old Town, this luxurious boutique hotel occupying an original 16th-century home radiates historic charm. 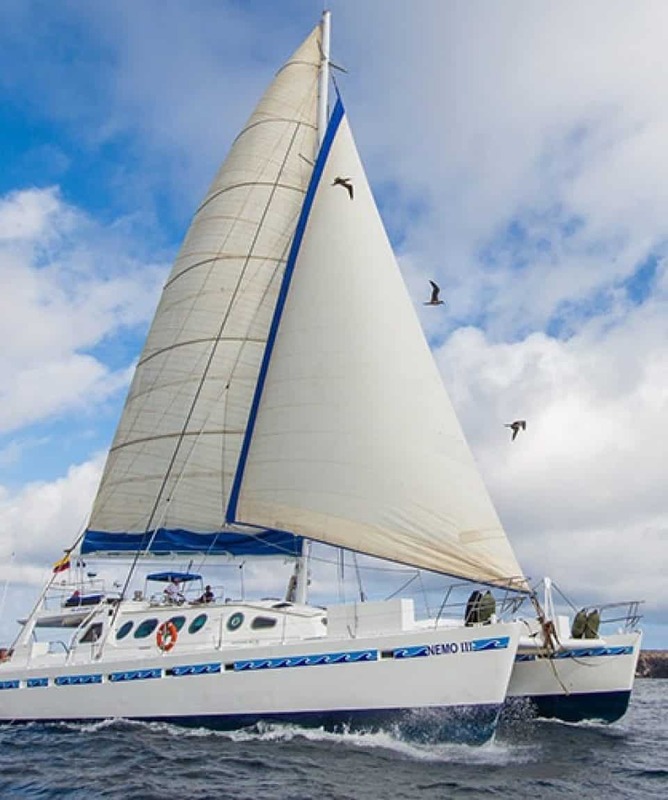 Enjoy an intimate immersion in the marine realm of the Galapagos aboard this 75-foot deluxe motor-sailing-catamaran, with a classic, sporty style that perfectly complements your island adventure. 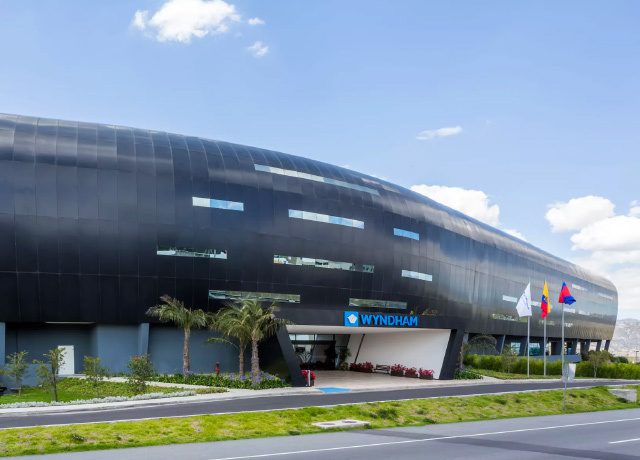 Just minutes from the Quito’s Mariscal Sucre Airport, settle into a tranquil escape during your layover, with comfortable rooms, plush beds and wide-open relaxation areas. Is This Activity Level Suitable for Me?When Is The Best Time To Visit?OK, When Are The Calmest Seas?Will You Provide Wetsuits For Snorkelling?What Wildlife Will I See?What Are The Ships Like? OK, When Are The Calmest Seas? Will You Provide Wetsuits For Snorkelling? 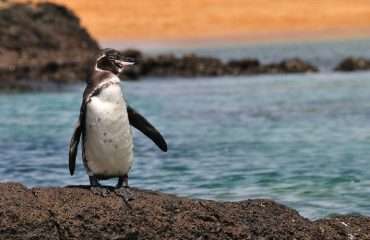 The Galapagos Islands are an amazing place to visit any time of year; however, there are some slight weather and wildlife differences from season to season. Due to the equatorial climate of the islands, temperatures do not vary much from month to month, so you can’t go wrong whatever season you choose. The waters in the Galapagos are generally calmer during the months of December through May and can have more movement June through November. Some of our travel will be in the open ocean where waters can be very unpredictable. Yes, we provide snorkel gear (wetsuits, fins, mask and snorkel) for use throughout our adventure. However, if you have your own mask and snorkel, we highly recommend bringing them with you to ensure better comfort and proper fit. There is a large supply of fins, so you will not need to bring your own. If you have an unusually large or small shoe size, please notify our office prior to your departure so we can arrange for gear that will fit properly. There are also life rings provided for those who feel more comfortable with something to hold onto while snorkelling. You are also welcome to wear one of our provided life jackets. We’re glad you asked! 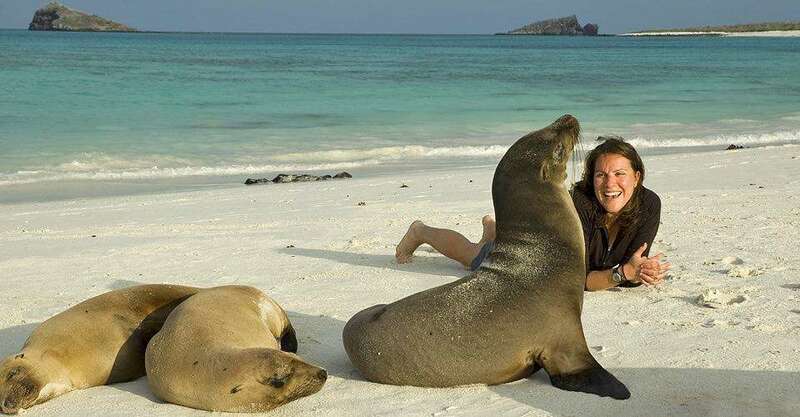 The Galapagos Islands is the singular most astonishing wildlife viewing spot on the planet. 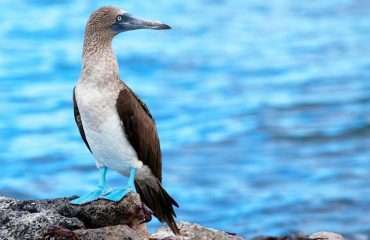 Here, you’ll likely see Galapagos sea lions, Galapagos fur seals, Pacific green sea turtles, giant tortoises, marine and land iguanas, lava lizards, bottlenose dolphins, Sally Lightfoot crabs, Galapagos penguins, blue-footed boobies, hundreds of tropical fish and various other seabird species. 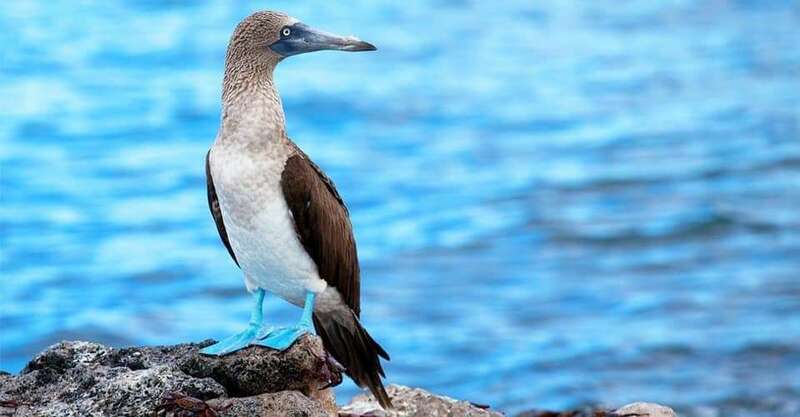 The Galapagos are also home to several whale species, and our best chances are to see sperm whales and Bryde’s whales, though we’ve also seen orcas and blue whales. And, amazingly, most of these creatures show no fear of humans! 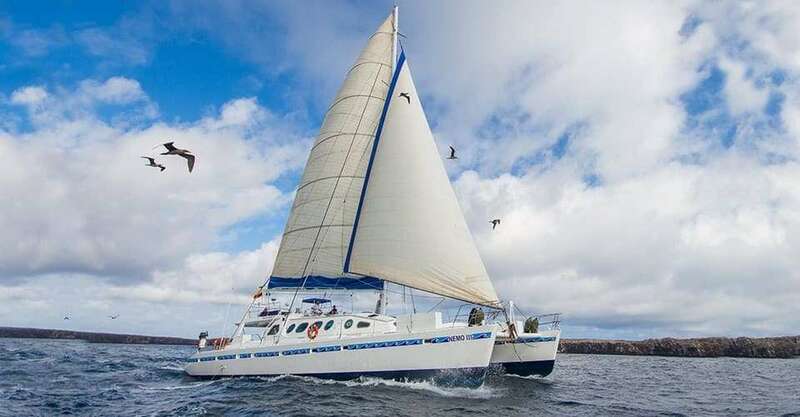 This deluxe sailing yacht is designed to offer the most intimate look at the Galapagos Islands. Although there are eight guest cabins that accommodate 16 guests, we limit our group to just 14, so there is extra space that adds to the private feel of our experience. As a sleek sailing vessel, the cabins are smaller—65 square feet to 90 square feet. Each cabin has a window and a typical marine toilet and shower.